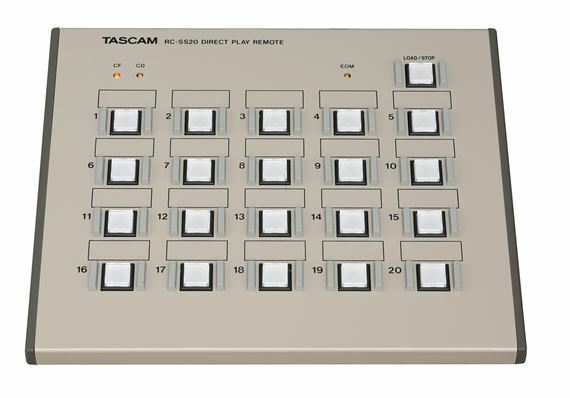 Shop TASCAM RC-SS20 Direct Play Remote for Solid State Recorders from AMS with 0% Interest Payment Plans and Free Shipping. 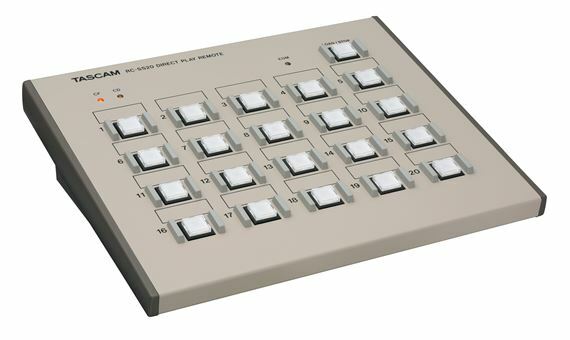 The RC-SS20 remote control puts you in charge with an intuitive design that is easy to operate. 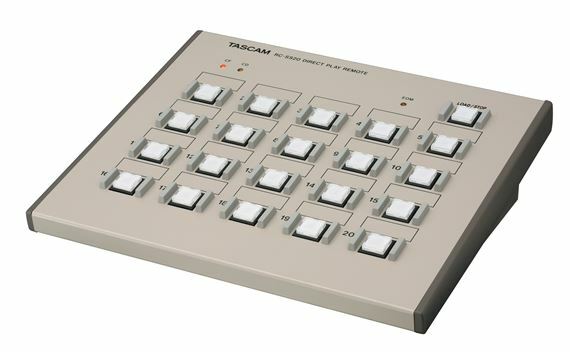 A panel of 20 illuminated buttons provides instant access to tracks on TASCAM recorders. The RC-SS20 supports the Flash Play mode on the SS-CDR200, SS-R200 and HS-8, so effects and announcements can be preloaded for instant playback. An "End Of Message" indicator shows when the end of the track is approaching. 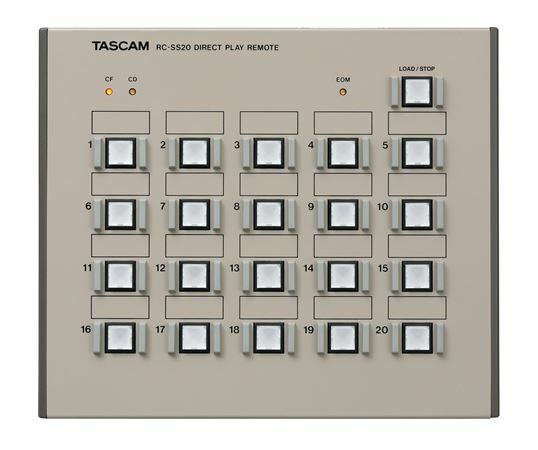 TASCAM's RC-SS20 is a remote control for the SS-CDR200, SS-R200, HS-8 and HD-R1 solid-state recorders.